A wardrobe that decorates the bedroom with style and at the same time, thanks to its doors, allows you to make the best use of available space. The modern and practical to solve all the problems. 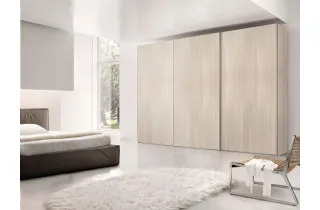 Wardrobe belonging to the prestigious Doimo Cityline shoulder line: with a significant containment capacity, features the bedroom with its elegance and unindiscussa quality of materials.